Servando Benitez (drums) was raised in Pittsboro, North Carolina . 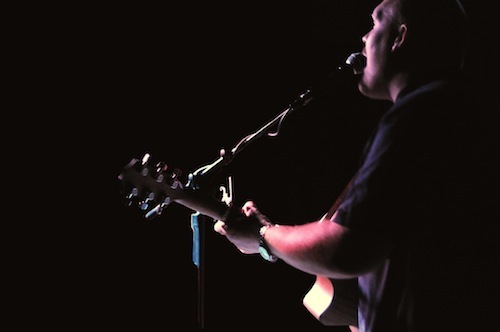 Raised in a Christian home, and heavily involved in church, his passion grew. On occasions he would play at Iglesia Bautista Roca Fuerte of Pittsboro where he was a member. 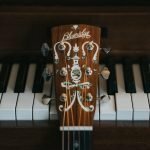 In those early years, a local band from his church, by the name of Ephesians 1:6 began, and he would travel with the band as many times as he could. 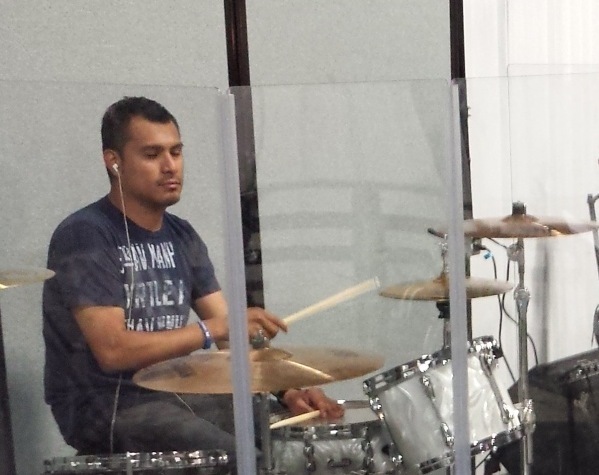 At the age of 14, Servando became the drummer for Ephesians 1:6. Servando now serves as the drummer and bass player for his current church, New Hope Baptist Church of Sanford, NC. Servando and his wife, Christina have four children and reside in Siler City, North Carolina. Mark Brady (Winds & Tech) is currently the Associate Pastor for Worship & Administration at Fellowship Baptist Church in Moyock NC where where he has served the last 5 years. 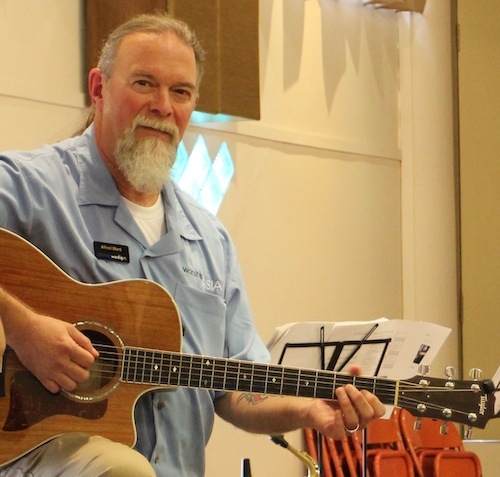 As the worship pastor, Mark is responsible for preparing the weekly worship services, rehearsing and leading the choir, ensemble and band. He also oversees the media ministry which includes audio, video and other multimedia tools. 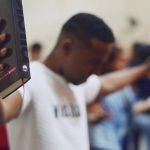 Prior to coming to Fellowship he held similar positions at another church for 13 years. 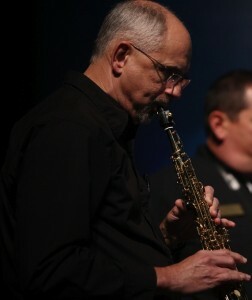 Mark began playing Saxophone in 1968. After graduation from high school he joined the US Army and became a musician where he served for 22 years. During that time he had the opportunity to travel throughout the United States and Europe playing in almost every type of venue and for audiences that included Presidents and leaders of foreign countries. He earned many high honors while serving in the military music program. He is proficient on the saxophone and flute. Mark came to know Jesus as his personal Lord and Savior while in primary school. He realized his call to full-time ministry while leading worship for a revival service in Germany in 1993. Since entering full-time ministry He has had the opportunity to make 14 trips into south and southeast Asia and another 9 trips to Argentina where his son David serves as a missionary with Word of Life. Mark has been married to his wife Joni for 36 years. They have 2 children Pamela and David. Pam is married to Phil and they have to children. Phil is a pastor in Maryland. David is married to Natalia and they have two children also. Tim Caudle (bass) is accomplished on both Bass Guitar and Guitar. 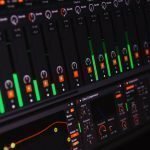 However his love for rhythm keeps his interest primarily on the bass. Tim started playing the guitar at the age of 12.The first band he played with didn’t have a bass guitarist, so Tim volunteered. By the age of 15 his career as a professional musician was taking off. Tim worked over 35 years as professional musician, performing with local, regional, and national touring artist as well as a “studio musician”. Miserable in his relationships and with life, he came off the road in 1984.Tim realized he could not find happiness or peace without God. 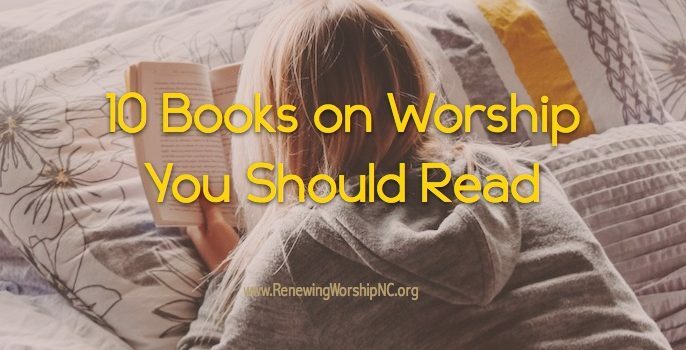 As Tim began to build a personal relationship with Jesus he realized those gifts and talents belong to God. 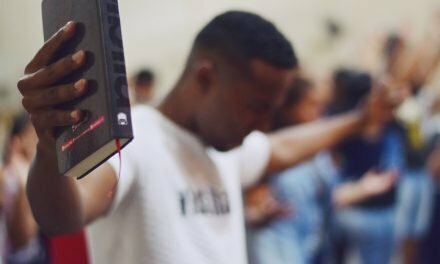 Since then God has used Tim to assist in leading thousands in worship. 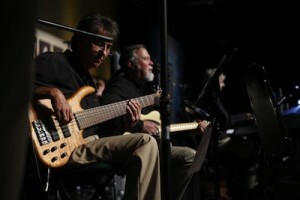 Tim has served as Bass Guitarist, Minister of Music,and Audio Engineer. Tim and his wife Judy have 4 children and 3 beautiful grandchildren and are members of Western Avenue Baptist Church.Tim is very excited to be a part of what God is doing through the WorshipAsia team, and thanks Kenny for the opportunity to serve with such a passionate, diverse, and dedicated team . Alfred Ward (guitars) was born and raised in Smithfield, North Carolina. Alfred began to learn the guitar at the age of 12 from music teacher Howard “Red” Rambeau. After taking lessons for about 2 years, he began playing guitar with “Red” and his son as a trio for private dinner and dance parties and other engagements. From there he moved on to pursue his dream of becoming a professional musician. At the age of 16 Alfred did his 1st tour out of the country to Canada for 2 weeks, then at the age of 18 his 2nd tour throughout the US with some well known recording artists. That was when Alfred knew he wanted to make music his career. Alfred continued to share the stage with local and other well-known recording artists. He also toured several countries in Europe twice with USO and DOD tours for the US troops. During his last year on the road (1994) while living in the Dallas, Texas area, God was working in Alfred’s heart as He had been for years. Broken, Alfred accepted and received Jesus Christ into his heart and life. At that point in time Alfred’s life and music desires changed and he has had the opportunity to use the talents and spiritual gifts God has given him on mission trips to Singapore, Malaysia,and other parts of Southeast Asia, Honduras and Belize As part of a church plant team with Freedom Biker Church Fayetteville for the past 6 years, Alfred is part of the leadership team sharing in music, and mentoring in God’s word. Danny Poyner (piano) has been playing piano nearly 30 years. He began as the pianist for various churches when he was 10 years old. 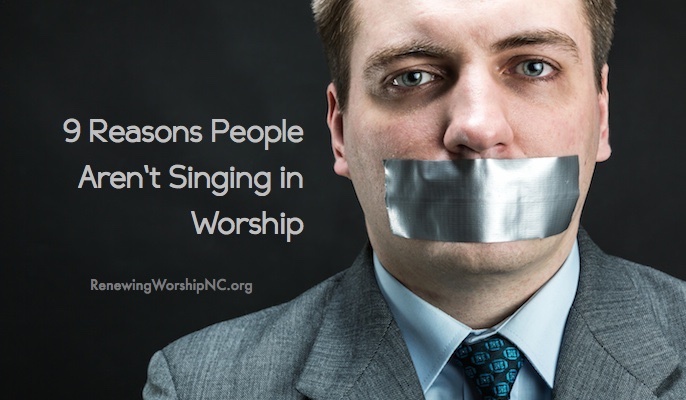 He currently serves as a worship leader at First Baptist Church, Cary, North Carolina where he has been serving for over 14 years. He graduated from Campbell University with a Bachelor of Arts in Mass Communication and a minor in music. Danny attended seminary at Southeastern Baptist Theological Seminary, earning a Master of Divinity in Worship Leadership. He also plays guitar and bass. 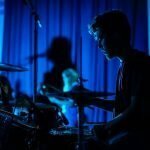 Jazz and blues are favorite genres of music, leading to the belief that written music is merely a suggestion, open to interpretation by the performing musician. 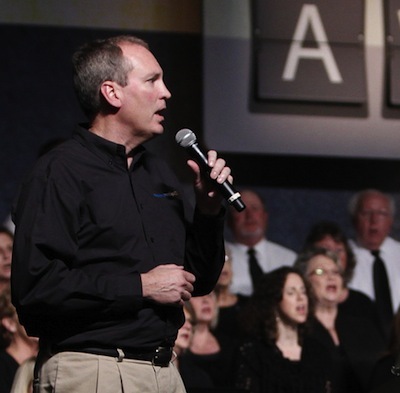 Kenny Lamm, senior consultant for worship and music for the Baptist State Convention of North Carolina (an association of 4,300 churches), served 23 years as worship pastor of Front Street Baptist Church in Statesville, North Carolina. 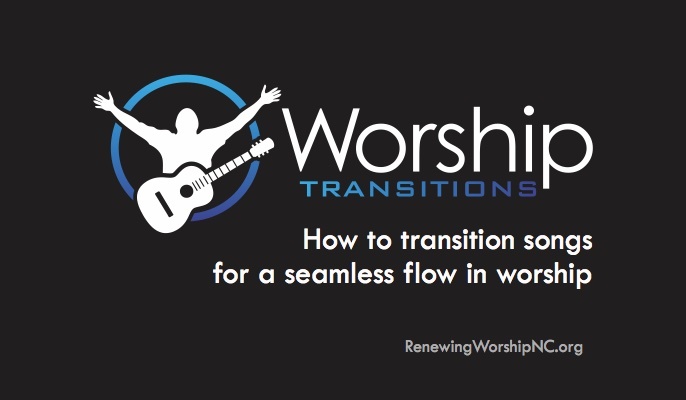 The church experienced worship renewal under his leadership and became a model for many churches seeking to transform and improve their worship services. Kenny is a frequent worship clinician and guest worship leader. 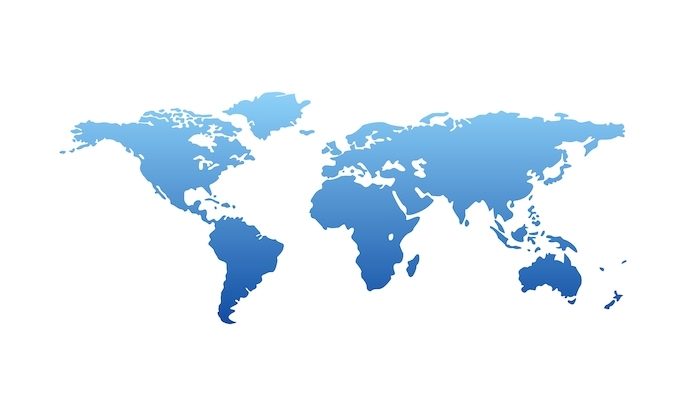 His heart for the nations has also taken him to international fields of service. 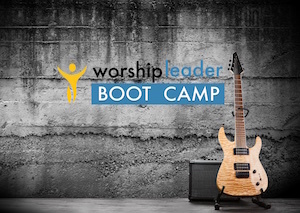 He and the worshipASIA team have led worship training events extensively in recent years, with a strong focus on training leaders in Southeast Asia. 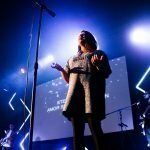 Kenny has gained much insight into worship in Southeast Asia after six worship leader equipping tours through many regions of Malaysia, Singapore, and other Asian countries, including two months living in Kuala Lumpur, working with churches in worship renewal. 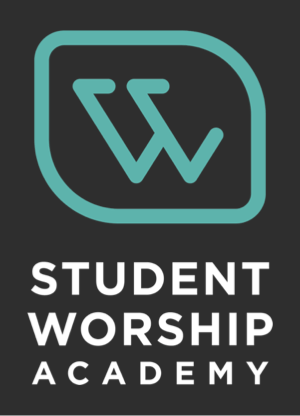 The curriculum used in these training events continues to be used extensively in equipping worship leaders in churches in the US and Asia; thousands of people have attended these events. 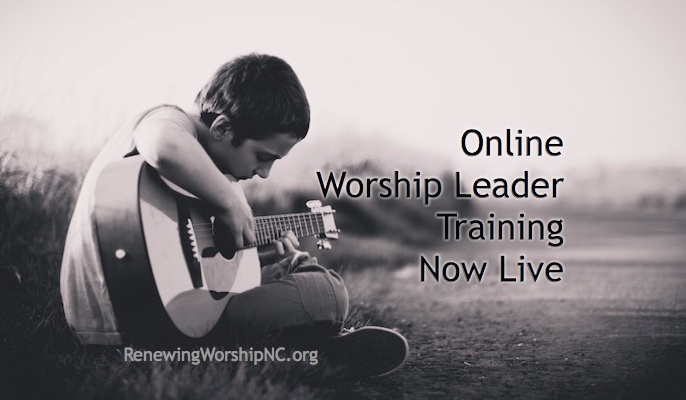 Kenny’s blog, www.RenewingWorshipNC.org, has received international attention for its practical helps for worship leaders. Kenny received his bachelor’s degree in music from the University of North Carolina – Chapel Hill, master’s degree in church music from Southern Baptist Theological Seminary in Louisville, Kentucky, and completed doctoral studies in worship to receive the Advanced Graduate Certificate in Worship Studies from Northern Baptist Theological Seminary in Chicago, Illinois.